Eye-In, mah man, what this film does well is highlight the subservience of our society. …but it’s the Coen Bros.
We must bow down to them and worship the ground they walk on. The Coen Bros. could film a guy taking a dump and the sheep would still call it a masterpiece cuz they don’t know better. What a POS formulaic, predictable movie with one-dimensional characters and a gay score. The pacing was horrid. It was like Jim Honeycutt wrote the script. Cliche ridden as all hell, too. While you might make a good point, it doesn’t work because it is wrong. First off, people do not worship the Coen Brothers like you so claim. That is a myth currently being set off. If people were willing to forgive the Coens for all their flaws, then why did Intolerable Cruelty, The Ladykillers, and Burn After Reading receive negative reviews? Entertainment Weekly even gave O Brother, Where Art Thou an F.
The thing is, if True Grit was directed by Joe Schmo, it is likely it would’ve gotten worse reviews not because of his name, but because of his style. Basically, the Coen Brothers have developed a unique style all their own and had someone else directed True Grit, it would’ve been a totally different movie. Don’t be so quick to judge. 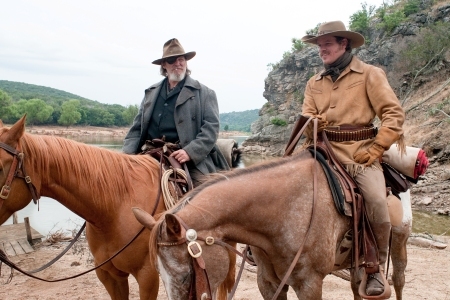 Plus, True Grit didn’t receive the highest praises ever. True Grit was a good movie and it was hard to refute what a good movie it was. It was very well done, but not incredible like other Coen movies. My point is, it’s about style, not name. To me, the Coen Brothers are still not Hollywood royalty, but two Jews from the Midwest continuing to bring awesomely original ideas into the mainstream.